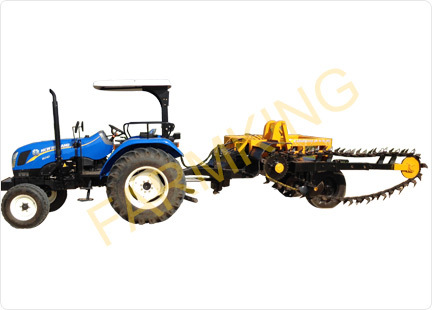 The Tractor Mobile Trench Digger is used while ground digging in agriculture and construction industry. The digger can cut narrow as well as deep trenches without any challenge and the users can customize the angle of the boom in order to control the depth of the cut. These diggers are available with heavy-duty frame and structural framework that possess superior strength and stability. The hydraulic cylinders are used in the digger that can work under different conditions. The digger is available with various options in adjusting the depth so it could go far deeper if required. Heavy Duty frame & Structural framework brings in greater strength & stability. Can cut narrow and deep trenches. The angle of the boom can be adjusted to control the depth of the cut. To cut a trench, the boom is held at a fixed angle while the machine creeps slowly.